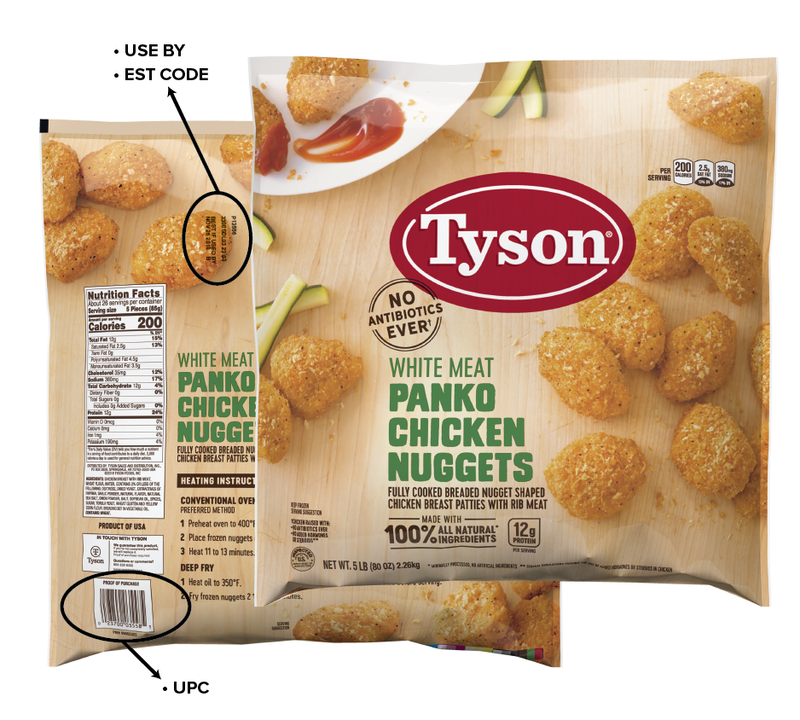 Tyson Foods, Inc. announced today a voluntary recall of 5-pound bags of Tyson® Fully Cooked Panko Chicken Nuggets that were sold at club stores nationwide. A small number of consumers contacted the company to say they had found small pieces of soft, blue rubber in the nuggets, prompting the company to issue the recall. Though the pieces have been found in a very small number of packages, no injuries have been reported with this recall; however, out of an abundance of caution, the company is recalling 36,420 pounds of product. Consumers should know that the product was shipped to club store distribution centers in Arizona, California, Illinois, New Jersey and Utah. Consumers with questions should call the special toll-free line at 1-888-747-7611. Customer service representatives will be available Monday through Friday 7am – 6pm CST.